Former management consultant Johan Kriegler had a very clear picture of success in mind when he created the FNB Wines2Whales three-stage mountain bike race. A passionate cyclist for the past 30 years, Kriegler knew exactly what he wanted from an event as a rider. Kriegler says he knew he had hit upon the winning recipe when he took part in the Nedbank sani2c for the first time about six years ago. “Glen (Haw) was the only guy who was building trails for an event – that was a new thing. And while I was cycling it I thought, ‘I must copy this model for the Cape’. It would be another year and a half before he staged his first event but when it took place it was an instant hit. 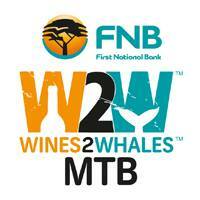 “The first proper Wines2Whales Race took place in November 2009 and we had 300-odd riders. In 2011, Kriegler was forced to add the Adventure component due to rider demand, with the Ride following last year. Kriegler remains modest about the event’s success and says the sudden boom was not unexpected as similar events were few and far between. He believes the beautiful Western Cape was a mountain biking resource just waiting to be tapped. “In the area that we go through, from Somerset West to Hermanus, you’ve got those mountains and wineries and the views are just unbelievable. And build trails they did, spending almost R1.2 million on trail development, maintenance and alien plant clearance since inception. Initially cash-strapped, Kriegler joined forces with the Pedal Power Association, which supplied funding and expertise for establishing some trails. Continuous trail development has also had positive spin-offs for the local community surrounding the race village at Oak Valley Wine Estate, he says. The event supplies the trail builders with good quality mountain bikes, which they also use for commuting purposes from their homes in Grabouw to wherever they are working. On the beneficiary side, Kriegler explains that the event officially supports a number of local schools and crèches, the local Rotary and Round Table clubs and a few community organisations. The beneficiaries receive their share of around R800 000 per annum and approximately 150 local people gain temporary employment during the event. Kriegler says his job is to look after the beneficiaries and landowners, while partners Stillwater Sports and Entertainment look after the sponsors, logistics and event management side of things. The mountain biking bug has already bitten a number of them, he laughs. The farmers have lent their knowledge and expertise with regard to the lay of the land and getting around obstacles. This year, says Kriegler, they will build the 100th bridge on the route. The bridges vary from 1m to 55m in length, with the highest one being 8m above ground. While he may have gotten his original concept from sani2c, Kriegler believes Wines2Whales has perfected the art of bridge building. Sharing knowledge is something Kriegler believes event organisers must do for the growth and improvement of mountain biking and the benefit of all. He says feedback from riders has shown that the route is still a major determining factor in their enjoyment of multistage races but that the quality of and access to food and ablution facilities is also vital. Kriegler says this year’s Wines2Whales participants can look forward to a great vibe at registration inside the winery at Lourensford Wine Estate. Having staged Wines2Whales half a dozen times now, Kriegler’s energy and love for the event remains undiminished and is clear in every detail. The event starts with the Adventure on October 31, followed by the Ride on November 3 and finishes with the Race from November 7.